The latest cable sleeve color: Orange-Carbon is a hybrid cable sleeve design, which mixes Papaya-Orange with Blackest-Black. This cable sleeve looks like high octane gasoline with its toned down orange effect. Enjoy making your custom cables like no other with this cable sleeve color like no other. 100% made in Germany in a class of its own. 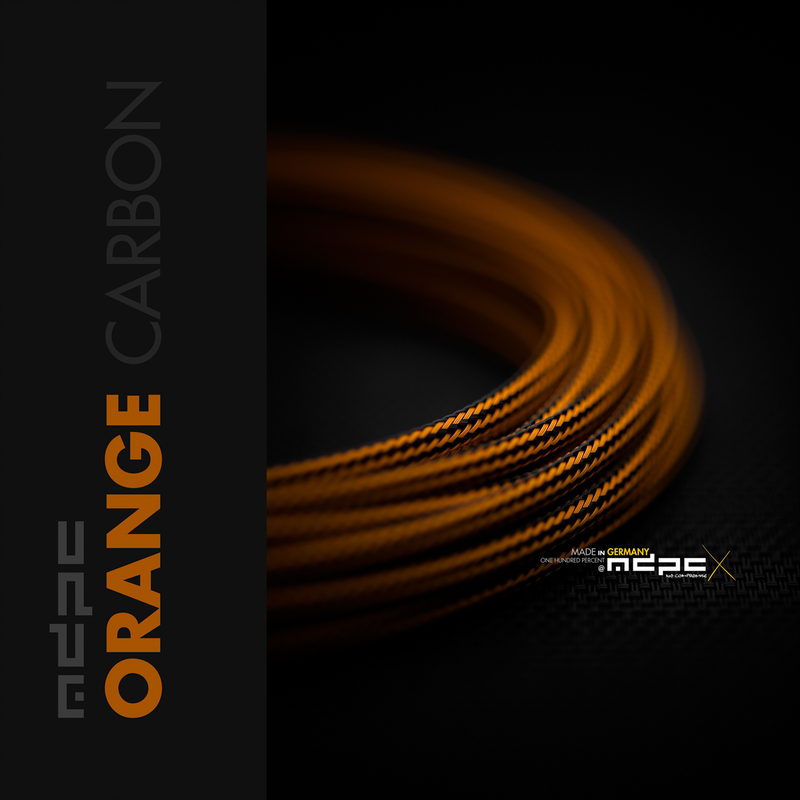 Get the new Orange-Carbon cable sleeve by MDPC-X now! You can order Orange-Carbon cable sleeve directly from us and of course you can also get MDPC-X Cable Sleeving products in even smaller quantities and directly in your continent / country through our global MDPC-X Stores. Orange-Carbon is available as SMALL cable sleeve, XTC cable sleeve and as MEDIUM cable sleeve.